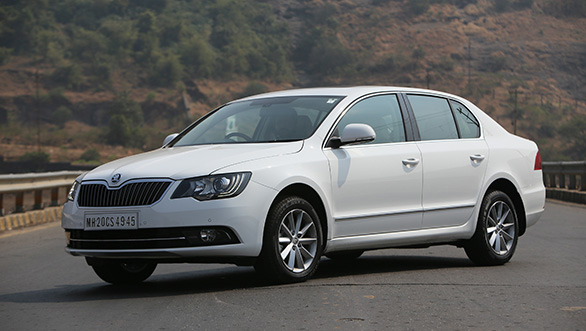 Skoda had well and truly laid down the gauntlet to the C/D-segment sedans, when it relaunched the Octavia brand in India in late 2013 to rave reviews. Not to rest on its laurels, Skoda decided to do something with its top-of-the-line Superb, and unveiled a facelifted version at this year’s Auto Expo in Delhi in February 2014. Launched in 2004 in India, the Superb had won over many with the sheer space on offer inside, and the grunt generated while on the move. The car went through a metamorphosis in 2008, when the design was made more contemporary, and the engine was moved from the 2.4-litre powerplant to a smaller 1.8-litre one, without compromising on the performance dynamics. The smaller mill also took care of the mileage issues to some extent. We decided to take the petrol and diesel versions of the facelifted Škoda Superb for a longish spin to figure out if the changes were mere cosmetic or whether there was anything else on offer. This is the real part where Skoda has done changes on the Superb. This is a mere facelift (unlike the generation change effected in 2008), wherein design elements have been tweaked to make it look younger and more contemporary, even as the global design studio works on the next generation Superb for launch sometime in 2015 possibly. Hence, before we call the people at Škoda lazy, we need to understand that they merely want to restrict the competition from eating their lunch, till such time the new product is ready to take charge. While overall dimensions have been kept the same, Škoda has made the new Superb look smarter and sharper, and has eliminated the rounded edges of the current Superb and replaced them with straight lines, to make it look a bit sportier. For starters, there is the change in the grille. The Superb also carries the new Škoda family grille with the 21 vertical slats shaped like a butterfly with the new all-metallic two-tone logo sitting on the edge on top of the bonnet, with the sharp cuts on the bonnet giving a certain sculpted look to the nose. The grille is now wider, and hence, the lower intake is wider too. It gets accentuated by the thin chrome arc running through the middle of the lower air intake, and which connects both foglamps. The headlamps and foglamps have been reshaped, while the profile of the bonnet and bumper has been restyled. Headlamps now carry bi-xenon projector lamps with cornering function and a curvature of daytime-running LEDs, which is integrated to the headlamp unit. While “Superb” continues to be chiseled into the sides of the projector lamps, the turn indicators are now integrated as a series of seven C-shaped LED strips within the unit, immediately helping in making an impact. The power washers upfront of the headlamps in the top-end Elegance trim work when the headlamps are switched on and you pull the wiper stalk to clean the windscreen, as in the outgoing model. Seen in profile, the facelifted Superb isn’t too different from the old Superb, but for the sharper lines that it holds, helping it look more contemporary. The 10-spoke alloys are new, and make the car look more dynamic sitting on the 16-inch radials; so too the chrome moulding to the windows. Move to the rear, and the styling cues are very visible here. The tail-lamps are all-LED, while the chiseled rear is more angular – another design feature from the Škoda family. But while the Octavia’s rear reminded one of the Rapid, the rear of the new Superb is a cross between the Octavia and the Audi family. The number plate has been moved from the bumper to the boot lid, the typeface of the “Superb” has been changed to the new one, and the positioning has been moved from the centre to the bottom right of the lid. 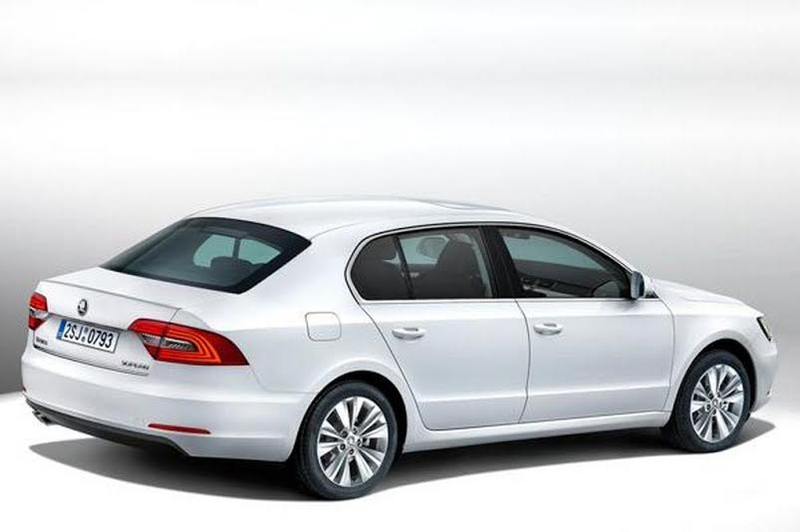 And the rear also has the new contemporary-looking two-tone Škoda badging. The base Ambition trim also gets the same LED treatment alongwith the 10-spoke alloys. 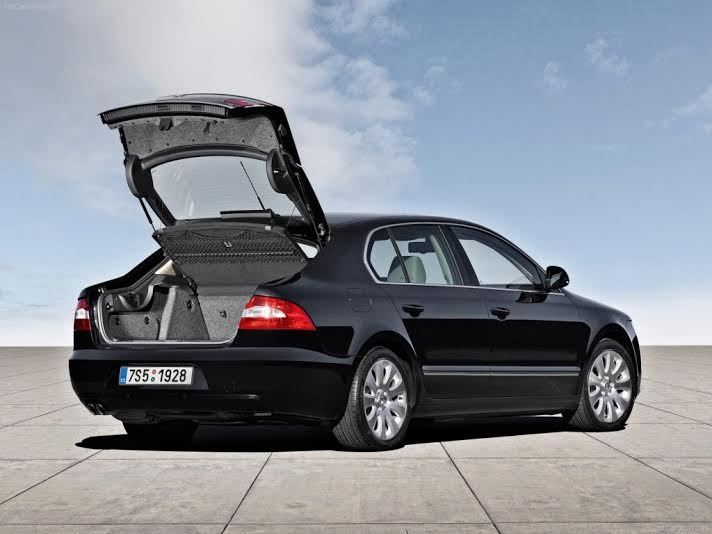 The boot has 565 litres of space on offer, and comes with the same twin buttons. 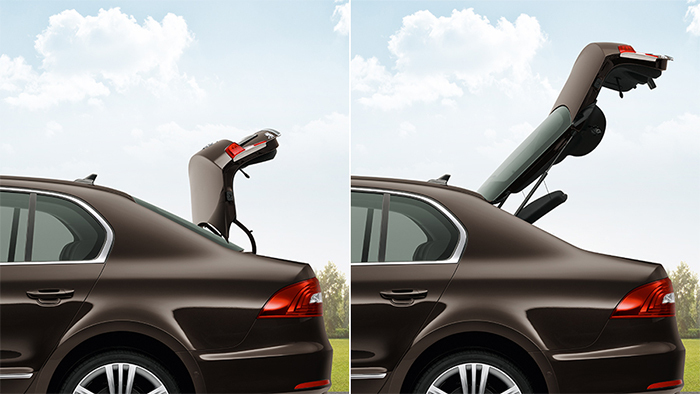 Press one and the boot lid opens up sedan-style; press the other, and the cavernous boot opens up in hatchback mode! There is very little that has changed inside. The Superb always had the best-in-class interior space – in fact, rear space was the best by a far distance even when compared to higher end cars. The Octavia has come close to challenging the Superb in terms of rear legroom, but the new Superb continues to nail it. That said, a colleague of mine who graduated from the Ambassador to the SX4 to the Superb – and who should know about the legroom on offer in the Superb at the rear – sat in his favourite position at the rear, and commented that maybe rear legroom has been cut down a tad. 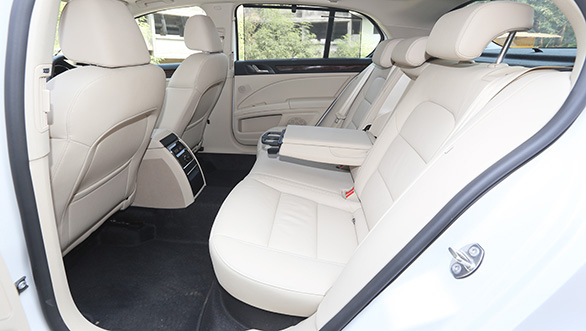 I didn’t bother trying to measure the legroom and compare it with the outgoing Superb, but sink in the perfectly cushioned rear seats, and you will relaise that the Superb still has that humongous legroom that it has been famous for. But for a car of this class, Škoda could well have experimented with seats that could recline, a separate climate zone, or temperature controls. While the dual-zone AC works well, and the B-pillar carries vents for the rear passengers, they could have very well been given their own controls at this price point – not just for the AC, but also for the audio system. Doors open and shut as solidly as ever, and all the three mirrors (two ORVMs and the inner one) get night vision treatment. Legroom up ahead is very good, while the head room has been kept consistent through the cabin. Fit and finish, and the high quality interiors look familiar, albeit with minor differences. For starters, there is no slot to crank the ignition. Škoda has replaced it with a start/stop button, which has been placed cleverly into the side of the steering column. The earlier 4-spoke steering wheel has been replaced with a new 3-spoke steering that is a tad smaller, and feels less chunky than the earlier one. Else, the rest of the dash, including the AC vents and the console behind the steering is the same. Both the DSG auto gearboxes (1.8 TSI and 2.0 TDI; it also has a 1.8-litre petrol in manual mode) get paddle shifters for those looking for that occasional dose of fun when behind the wheel. Surprisingly, the Octavia doesn’t get paddle shifters despite carrying more power! Be that as it may, Škoda has now loaded the Ambition trim with more features, while the Elegance gets multiple features. There is the new Bolero unit with touchscreen facility, a 6-CD changer, and 12 speakers for a lovely audio output. But on the shocking list is a missing USB port (how much does this cost? ), a camera to help in parking into tight corners (although the sensors at the front and rear do a fantastic job), and a simple GPS. I truly believe that the time has come for all manufacturers to start offering a GPS facility with their cars as a service (chargeable, of course) to the buyer. If I do stop cribbing, I would admire the interiors, the quality of the buttons, and the overall layout. But then again, there is no space in the door pockets to carry that 1-litre bottle of water! Needless to say, the Superb maintains its admirable ride quality, tackling Mumbai roads with aplomb, and NVH levels are extremely refined. 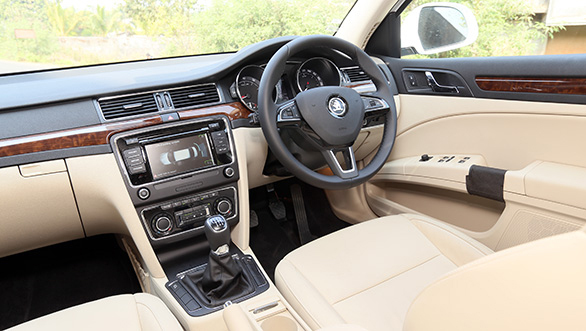 While the Superb has been made for the rear seat passenger, the fun element is there upfront. This is a definite corner craver, and can enter and exit corners with ease. The car felt very connected to the tarmac (not due to the low ground clearance of 159mm) at high speeds, and is pretty stable even when you are doing high triple-digit speeds on bad roads. If you are being relaxing on the rear seat, the ride quality will be quite pliant. If being driven at high speeds is fun in the Superb, so too is retardation – the car doesn’t lose its poise, and so too you. Disc brakes do a fantastic job of bringing all four tyres to a halt in panic braking situations with relative ease. The top end elegance trim comes with hill-hold function too, while eight airbags, ABS, ESP, are among the regular safety features. As mentioned earlier, the Superb comes in two engine options (1.8-litre petrol in MT/AT, and the 2.0-litre oil burner in AT). These continue from the outgoing Superb, and are tried and tested performers. Power is a little less than what is available in the Octavia – and combined with the extra weight carried by the Superb, lethargy is clearly evident when compared to the Octavia). The TSI unleashes 160 horses (versus 180bhp in Octavia) @ 4500-6200 rpm generating 250 Nm of torque @ 1500-4500 rpm, while the TDI punches out 140 bhp (versus 143 in the Octavia’s diesel mill) @ 4200 rpm generating a stupendous 320 Nm of torque at 1750-2500 rpm. The torque output is the same as that in the Octavia. 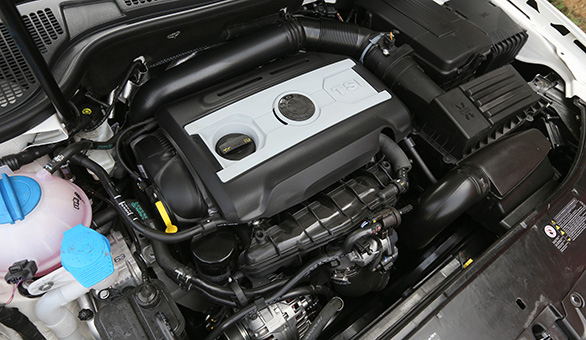 In the TSI petrol unit, torque kicks in early, power delivery is linear, and it has a strong mid-to-high range. The DSG auto can be shifted to manual by the tiptronic function, and the paddle shifters can be used to have some fun. 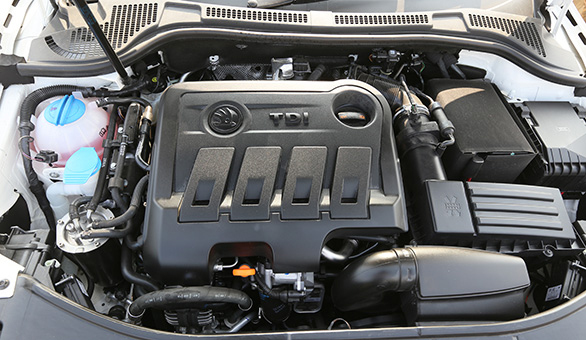 The TDI oil burner feels equally on the boil, and is as eager to upshift as its gasoline cousin. The whopping 320 Nm on offer makes highway driving (and overtaking) a breeze, while city driving is easy with at the lower end of the torque band, where the motor breathes easy, and doesn’t make life difficult in stop-go traffic. All in all, the Superb continues to excite, even though the comparisons with the Octavia’s performance will keep happening. When one comes to this existential question, the rear legroom is the best answer. Apart from the best-in-class and higher above) legroom on offer, the Superb also gives you a very good engine performance, extremely good interiors, and a refreshed sporty exterior. 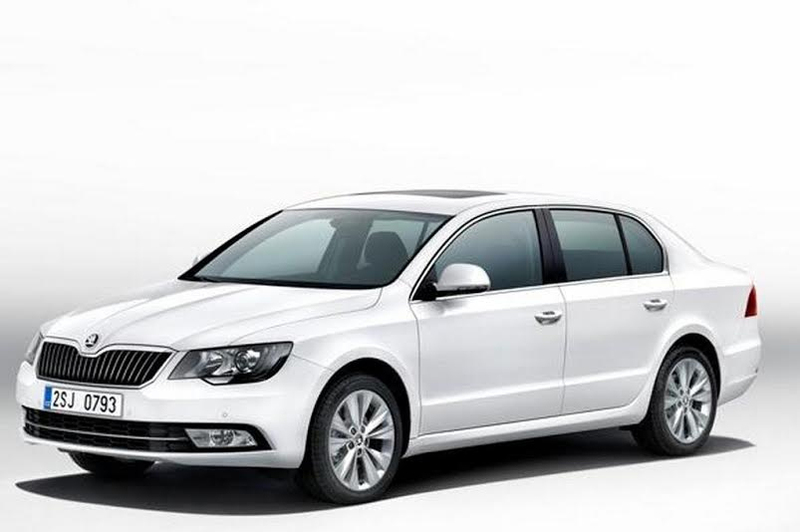 True, the Octavia has many similar features, and will cannibalise sales at Škoda’s higher end. But then that’s a situation (I am sure) Škoda was prepared to live with when they priced the top-end Octavia just a tad lower than the lower-end Superb. Even with the refreshment, Škoda stands a chance to lose out on customers of the Superb to the Octavia, but the facelifted version is definitely worth considering, if price isn’t the only criterion for you. Else, wait till 2015 for Škoda to unleash the new Superb!